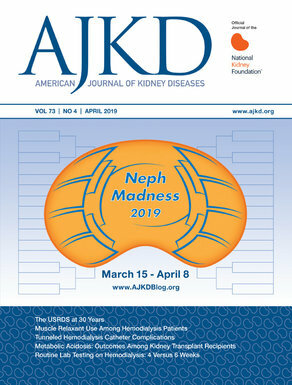 NephMadness is a great way to start a discussion about a host of nephrology concepts. We are encouraging residency and fellowship programs to make this a project for the whole program: every resident or fellow can submit their own bracket and then, as a group, submit a collective, program-wide bracket. “But how can I convince all of my residents to learn and fellows to play the game?” you ask. Assign different learners to represent different regions and deputize them as content experts, with the expectation that they would dig deeper than the scouting reports. Tell the residents to complete their own draft brackets on paper before they come to the session. When residents come to the session, use the following slide presentation to guide the group through the brackets. Use consensus to fill out a group bracket. The Tourneytopia site works just fine on a phone, tablet, or laptop. Reminder: there are no right or wrong answers. The purpose of the exercise is to get people discussing and learning about various concepts in nephrology. When you are filling out the brackets, you are making value judgements on ideas that are objectively difficult (impossible?) to value. We advise the Blue Ribbon Panel to pick the more exciting, more important, more evidence-based, more likely to shape the future of nephrology, or in fewer words, the more important concept. It is time for NephMadness. This is an annual, online, educational game sponsored by the AJKD Blog. It is March Madness but for nephrology. On [Thursday] at [Noon] we will be filling out a program-wide bracket. Before the session, you need to read the background information on the AJKD Blog (www.ajkdblog.org). To increase your chances of winning a prize, you should also submit your own individual bracket here (nephmadness.com). See you there. What are you waiting for? Start challenging your rival programs now and see who has what it takes to win the big dance.